Davenport Development presents their latest project: a collection of upscale contemporary condos on the canal. 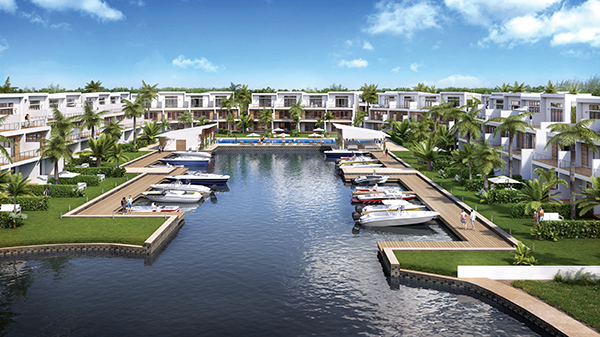 Tucked away behind Hurley’s at Grand Harbour, this new development delivers luxury residences with optional boat docks, and an array of resort-style amenities, in one of the most convenient locations in Grand Cayman. The single-phase development, located on Grand Harbour Canal, Arvia will be comprised of 96 condos, distributed across 12 three-storey buildings. The condos are positioned around a small marina-like set of docks, providing every home with views of the waterway and the option to purchase or rent dock space for their boat. 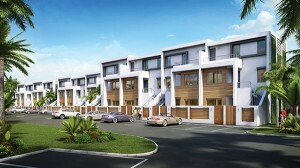 Buyers can choose between two bedroom, two bathroom ground floor residences or three bedroom, three bathroom duplexes. 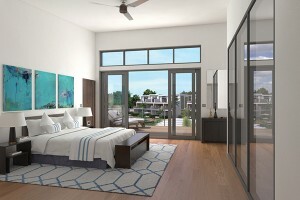 Ground floor condos feature porches facing the gardens and canal, a private courtyard off the master bedroom, and open-plan kitchen, living and dining areas. The duplexes will comprise of two bedrooms, two bathrooms and an open-plan kitchen, living room and balcony on the lower level, plus a huge master suite and roof terrace on the top floor. High ceilings and generous proportions inside and out, combined with top quality Bosch kitchen appliances, natural stone countertops, and high design bathroom accessories from Kohler and Delta will create elegant, modern spaces suitable for couples or families. A home at Arvia is more than an individual condo. The community amenities make this a place to not only live, but to thrive. A 50-metre pool lies between the lush gardens and the canal, offering plenty of space for swimming laps as well as shallow shelves and pool cabanas for a more relaxing experience. For those with active lifestyles, a doubles tennis court, a large, fully equipped gym and a yoga room ensure multiple ways to keep fit without having to leave your gated community, while storage for kayaks and SUPs, and the option of mooring one’s boat outside one’s home, make the most of waterfront living. Thoughtfully planned for busy professionals, shared facilities also include a meeting room and a clubhouse where events can be held and, for those who are short on time, a concierge service is available to take care of chores and a property manager is on site to handle maintenance issues. Behind the fine finishes and impressive amenities lies Davenport’s trademark quality construction. Walls built with Insulated Concrete Forms, poured concrete roofs and insulated impact windows all combine to create well-insulated spaces that are hurricane resistant and also energy efficient. 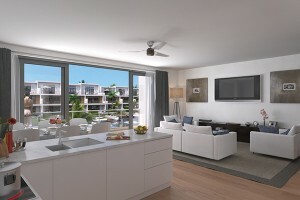 Designed to be homes for the future, the condos are also all smart wired and fibre ready, and a full security system and video entry system further add to owners’ peace of mind. This waterfront hideaway also enjoys one of the most convenient locations on the island. Not only is there a grocery store, pharmacy, bank and restaurants within a few minutes’ walk, but the Grand Harbour neighbourhood also offers schools, churches, service stations and more. And as well as being an easy commute from George Town, it is only a short boat ride from the clear blue waters of the North Sound. 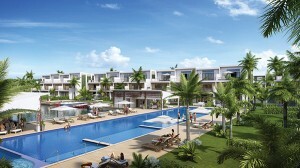 Priced at between $505,000 and $695,000, Arvia offers modern luxury and an excellent location at very affordable rates. A 10% deposit is required to reserve. 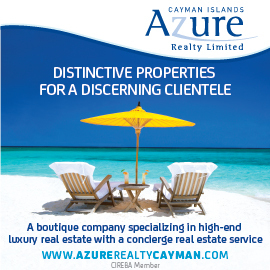 Those who purchase prior to construction pay stamp duty only on the land value – a saving of up to $40,000.